After two weekends in Europe, Ellen has settled in and is racing in top form. 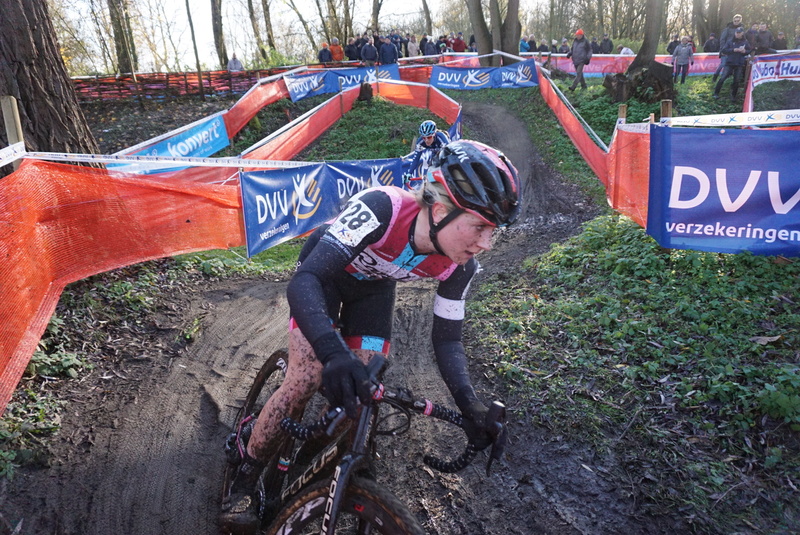 This weekend, she proved that she is one of the world’s best in cyclocross, racing to second place at the DVV Trofee at Flandriencross in Hamme, Belgium, finishing six seconds behind World Champion Sanne Cant and ahead of two-time World Cup Series Champion and U.S. Cyclocross National Champion Katie Compton. In addition to her breakthrough performance, VeloNews noted that Noble stole the show as the only rider to cleanly ride the tire barrier on the opening lap. 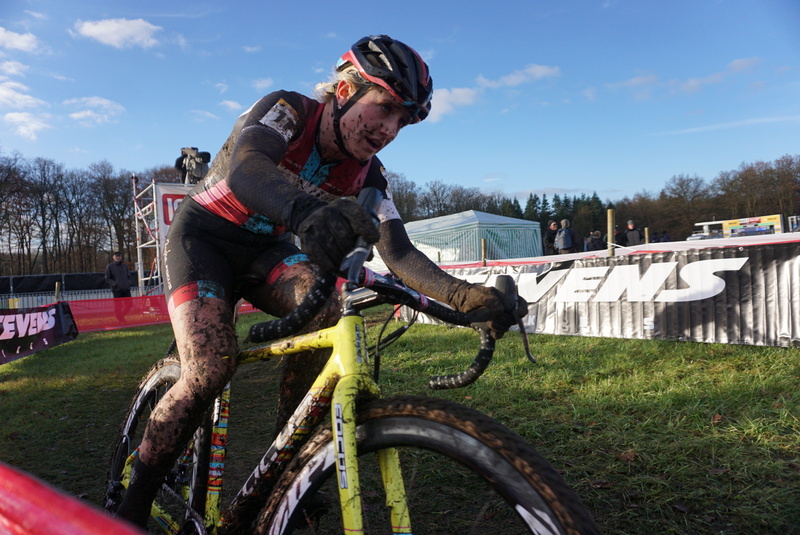 After an amazing start, Ellen Noble was racing in the top five during the muddy slog at the Zeven World Cup when a mechanical forced her to run to the pit. She recovered to finish 18th. Next up is Hasselt, followed by Essen and Overijse. Potato + Lentil Red Curry Soup Recipe! © Ellen Noble. All rights reserved.